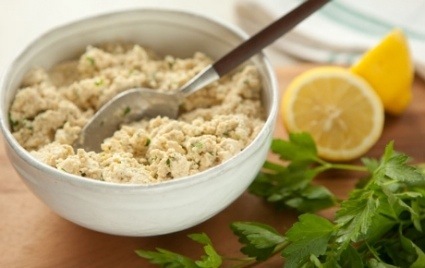 #1 Cook: Vegan Cream Cheese! On Friday I took on the project of make vegan cream cheese and plain vegan yogurt from the recipe book I’ve chosen, Vegan! Over 90 mouthwatering recipes for all occasions. I’ve never needed to make cream cheese at home because, thankfully, there is a wealth of excellent vegan cream cheese products out there already. Non-vegans might be surprised at how good they’ve gotten. 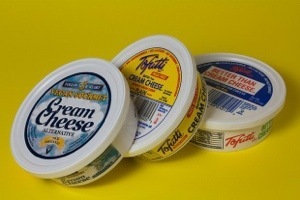 I love the Tofutti Better Than Cream Cheese as an all-around versatile spread. Equally great is Go Veggie Vegan Cream Cheese (formerly Galaxy brand). Both have almost exactly the flavor and texture of non-vegan cream cheese, and each one also comes in a “herb and chive” option! 1. Place everything in a food processor or blender and combine well. 2. Transfer mixture to a container, store in refrigerator for up to 1 week. I mixed everything together in a blender. It came out great and the taste was there, but the texture was much more like ricotta cheese than cream cheese! It was completely spreadable and delicious, but just a little bit thick. 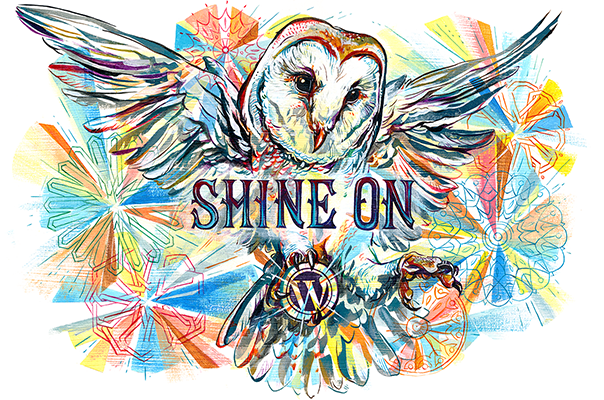 Next time I want to incorporate more creaminess by folding in the oil or blending . But it was excellent nonetheless, and it plan to use it in a future recipe: stuffed peppadew peppers! For a slightly less sweet cheese add less agave. I used a regular firm tofu, but I’ve been thinking about doing it again with silken or extra soft tofu might to create a creamier cream cheese. If I do this I will probably add less liquid all-around! #2 Failing at making vegan yogurt! After my success with vegan cream cheese I thought I’d test the vegan yogurt recipe. 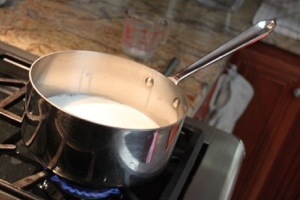 I sterilized the soy milk by heating it to just below the boiling point. Then I rinsed a glass jar with boiling water to sterilize it. 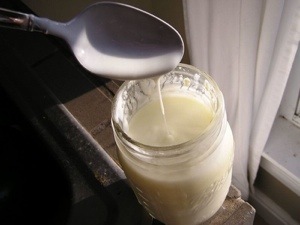 I cooled the milk to lukewarm, poured it into the jar, and then added the live yogurt. Place the container near a constant source of low heat, such as on top of the refrigerator. Alternatively, wrap it in a towel or newspaper and put it on a hot water bottle. The yogurt should be set within 12 hours. (If the temperature drops too low, it will stop the process or take longer; if the temperature is too high, the bacteria will be killed. I wrapped the jar in a towel, and placed it in the Crockpot on warm. I tried to keep the temp below 120, but it may have gotten too low a couple times. Regardless of what I did wrong, my product was a curdled mess! Next time, I’ll be much more careful about my temperatures, and hopefully I’ll be more successful. I’ll update you when I do!